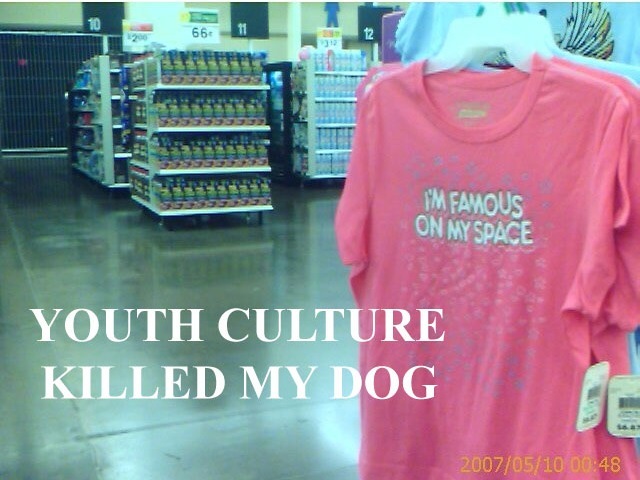 This page contains all of the posts and discussion on MemeStreams referencing the following web page: Caption Contest | I'm famous on MySpace. You can find discussions on MemeStreams as you surf the web, even if you aren't a MemeStreams member, using the Threads Bookmarklet. 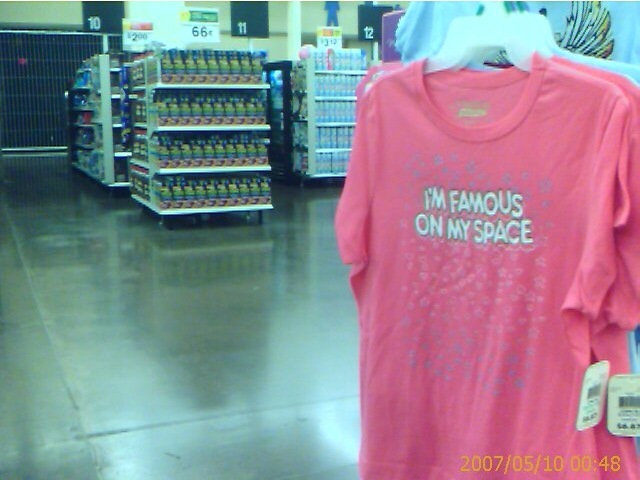 This cell phone camera picture of a pre-teen size t-shirt that says "I'm famous on MySpace" was taken in a Tennessee Walmart. This is a photo macro waiting to happen. Reply with your entries. On a "tasteless scale" between 1 and 10, try to keep entries under a 7. Match the profile with the milk carton, win free pair of binoculars! I retort with a They Might Be Giants reference!